Give in to the Dark Side! From Star Wars: The Force Awakens, Kylo Ren features his classic deco in Hikari form. 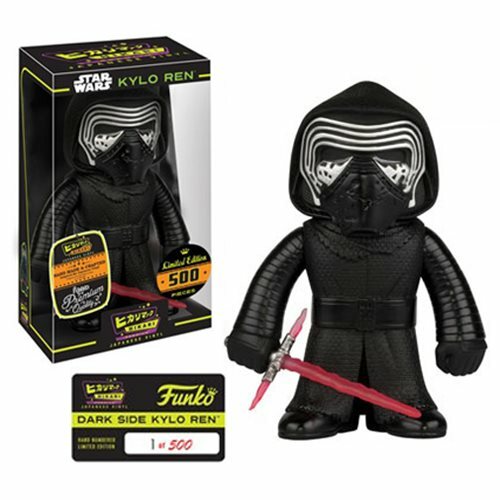 Limited to only 500 individually numbered pieces world wide, the Star Wars: The Force Awakens Kylo Ren Dark Side Hikari Sofubi Vinyl Figure comes packaged in a window display box. Ages 15 and up.